Tsavo Leonbergers is located in the Snow Belt capital of northeast Ohio. We are an AKC Breeder of Merit, an AKC registered kennel, and active member-breeders of the Leonberger Club of America (LCA). We are a small kennel, focusing on quality not quantity. Our goal is to produce Leonbergers of sound temperament and good health, combining beautiful type to exemplify the breed standard. Our breeding stock is health tested - OFA hips, elbows, thyroid, heart and eye clearances. 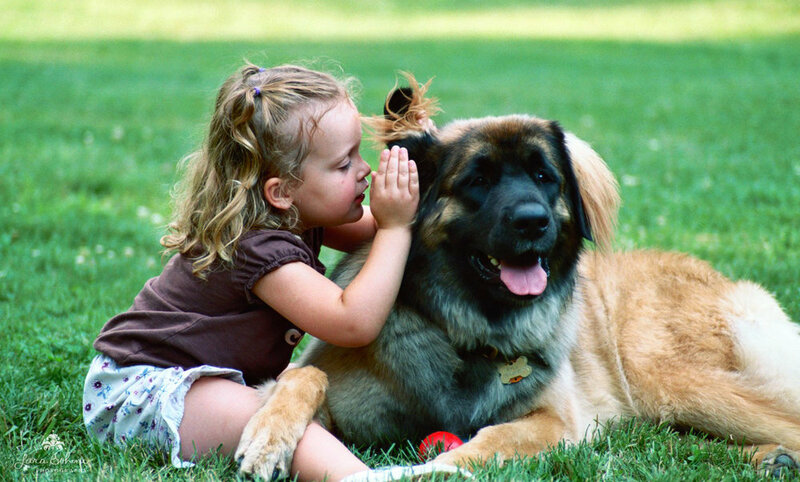 Our approach is to improve and enhance the Leonberger breed through selective breeding practices, thoughtful mate selection, and on-going genetic and pedigree research to help limit commonly inherited diseases. Our Leos are first and foremost family members and live in the house with us. We feel that our loving commitment to each litter gives them a solid foundation to maximize their mature, adult potential. We produce versatile and intelligent Leos with the ability to excel in any number of venues. Many of our Leonbergers have successfully competed in conformation, obedience, lure coursing, therapy work and service programs, but their most important role is being a devoted family companion.